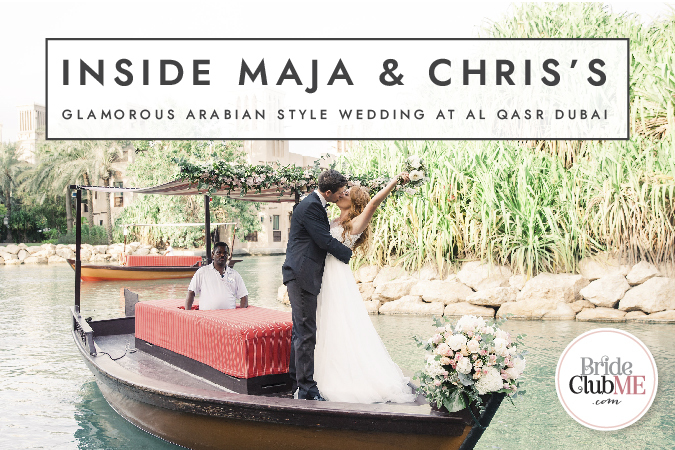 From a romantic, movie-esque proposal that featured a helicopter ride, to a stunning ceremony against the backdrop of the Indian Ocean, to a reception lit my palm tree hung fairy lights, Bride Club ME are excited to take you inside the wedding of Dubai expats Maja and Chris. 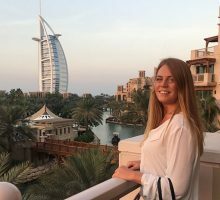 Maja, originally from Sweden, and Chris, from the UK, met and fell in love in the UK nine years ago before moving to Dubai. 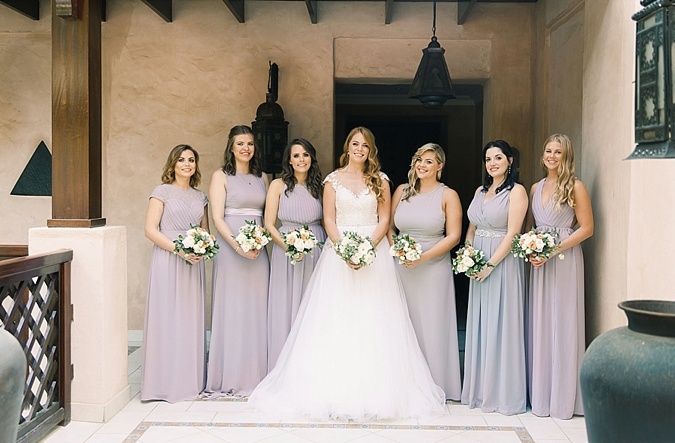 Their wedding took place on the 16th November 2018 at Al Qasr Jumeirah Dubai surrounded by their nearest and dearest who had flown in especially for the big day. 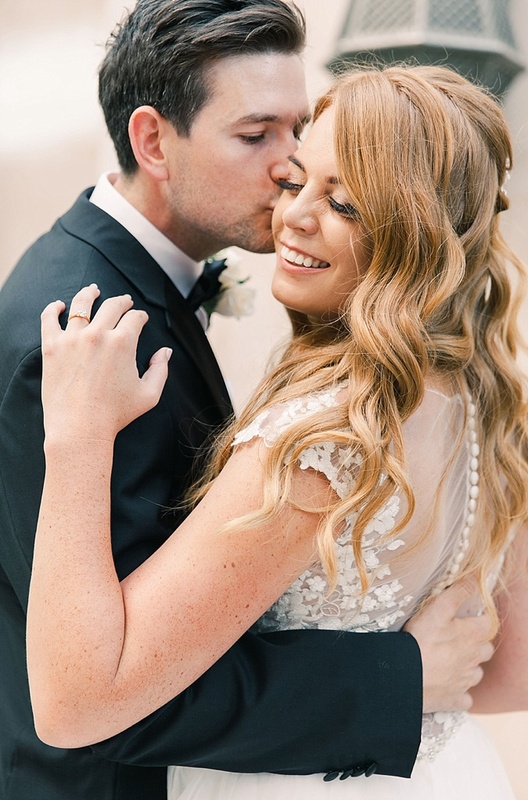 Read on as Bride Maja gives us an insight into her 18 months of wedding planning and discover how through clever planning and research, both Bride and Groom ended up being blessed with the perfect day they had always dreamed of. 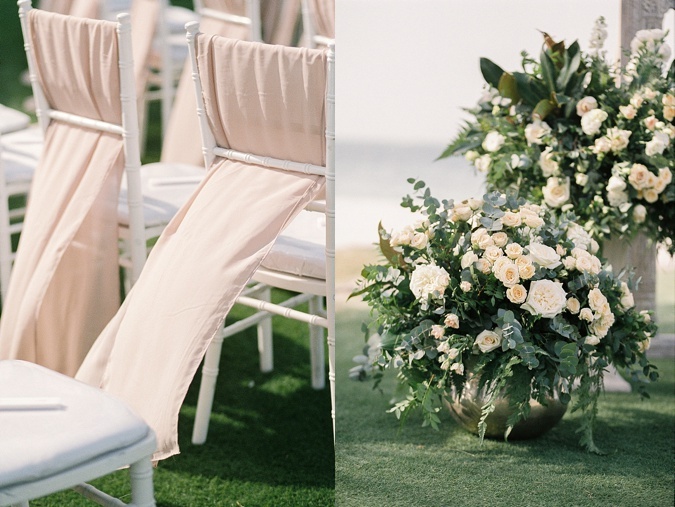 All of the dreamy images you are about to see were taken by Photographer Maria Sundin. Maja, let’s start with the proposal, how did your other half pop the question? 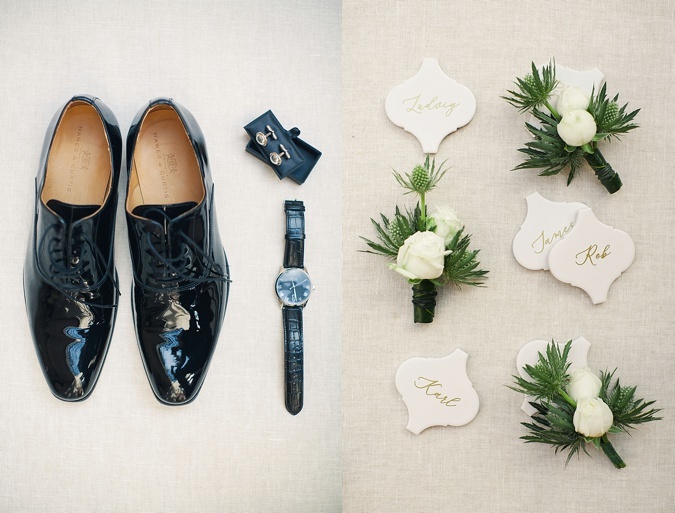 The short version – he proposed on a helicopter pad on The Palm. The long (and true) version however included months of planning and scheming with the help of friends to keep it all a surprise. He had planned a helicopter tour in the morning because I am a bit of an aviation fanatic and a helicopter ride was one of the top things on my bucket list. We got up early and headed to The Palm (I was under the impression that we were attending a social event for his work) but when we arrived nobody else was there. Instead, there was a flight crew and a helicopter and Chris got down on one knee with the most gorgeous ring. I was completely blown away and obviously said YES. We then went on a flight tour over Dubai where we flew over all our favorite places and Chris kept having to remind me to look out the window instead of staring at my ring. I was literally on cloud 9! 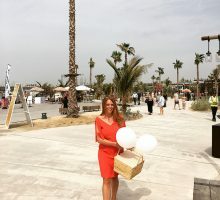 The surprise then continued as he had booked a lunch and beach day at Al Qasr (which is where we actually decided to have the wedding). We had lunch at Pai Thai and then spent the rest of the day soaking up the sun by the pool and talking about our future, it was so romantic. In the evening we went for dinner and cocktails at Burj al Arab. The whole day was just absolute perfection. 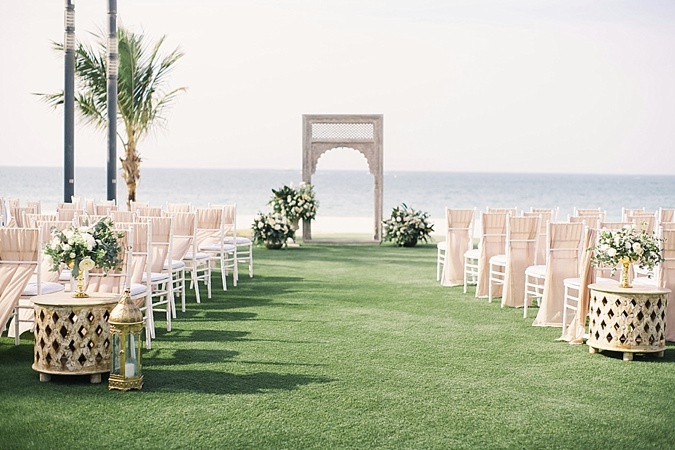 We knew from the start that we wanted to have our wedding here in Dubai. I spent part of my childhood here and Chris and I have been living here for almost three years now, so it is a place that has a lot of meaning to us and we wanted to share that with our friends and family. We also felt it would be easier to plan the wedding if I was in the same location and could meet vendors in person. Plus, we wanted an outside wedding and Dubai was more likely to deliver a sunny day than our hometowns in the UK or Sweden. Once we had settled on a city, we moved on to finding the perfect venue, and it was surprisingly easy. 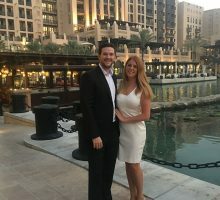 We fell in love with Al Qasr after spending our engagement day there, so it was top of our list along with another couple of hotel chains in Dubai. The key factor was that we wanted to be outside for the cocktails and dinner reception, but we also didn’t want to have to shut the music off at 11pm. The laws in Dubai are quite strict about that, so finding a place with both outside space and which allows music past 11pm was a priority for us. 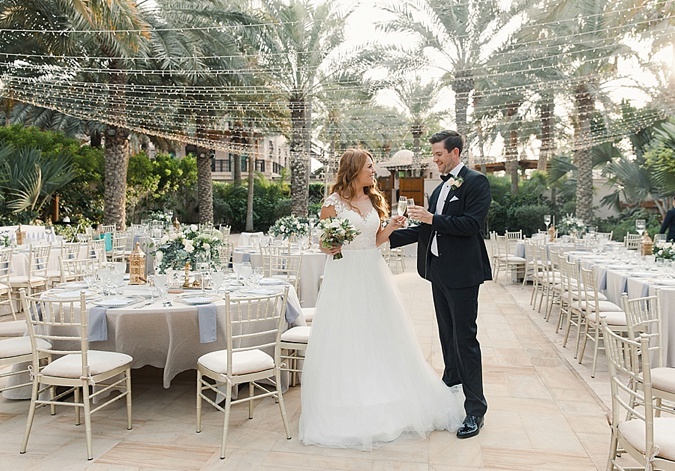 Luckily for us, Al Qasr is one of the few venues which offers this as they have a “private island” called Magnolia which has both a courtyard for the reception and an inside area for dancing afterwards. 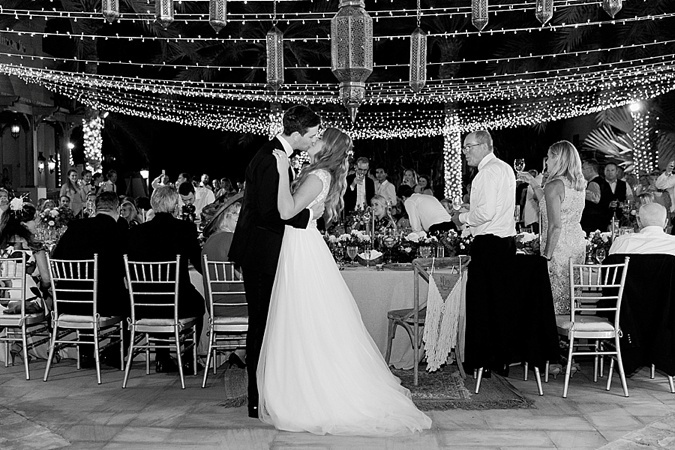 The courtyard is covered in palm trees and fairy lights and the inside area has an Arabesque décor theme. It was just perfect. We booked it the same day we viewed it, it was meant to be. 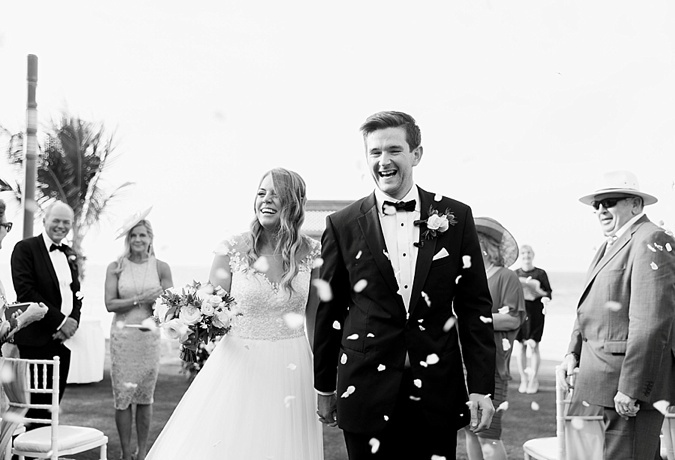 Our wedding vision was just to have an entire day filled with love and laughter, surrounded by our favorite people. We kept saying to each other, “Can you believe they will all be here at the same time?” Being from different countries, it is extremely rare for us to be able to gather all of our loved ones in one place, so the idea of them all coming together for us was all we needed for a perfect day. Because of this, it was so important that we got to experience as much of the day as possible. We put a lot of energy into creating an efficient timeline that allowed us to maximize our time with the guests, such as getting our photographs taken before the ceremony (this is very common in Sweden) and arranging to get quality time with the wedding party in the morning. We had heard a lot of horror stories of stressful wedding mornings so we put nearly as much effort into planning the morning as the wedding itself. I arranged for hair and makeup for the bridesmaids in the bridal suite whilst we sipped champagne and had a long breakfast, whilst Chris and the boys got ready in the grooms suite with a nice bottle of whiskey and food. The entire morning was extremely relaxing and getting that extra time with my girls, Moms and Grandma was so special, it was actually one of my favorite parts of the day. 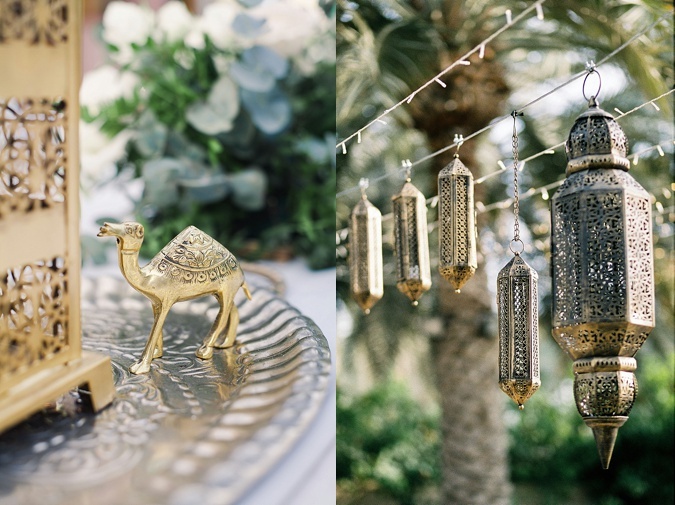 As the wedding was in Dubai, we wanted to incorporate the local culture, but keep the traditional glamorous and classy wedding elements. Chris described it as “Arabian Gatsby”, (Haha!). 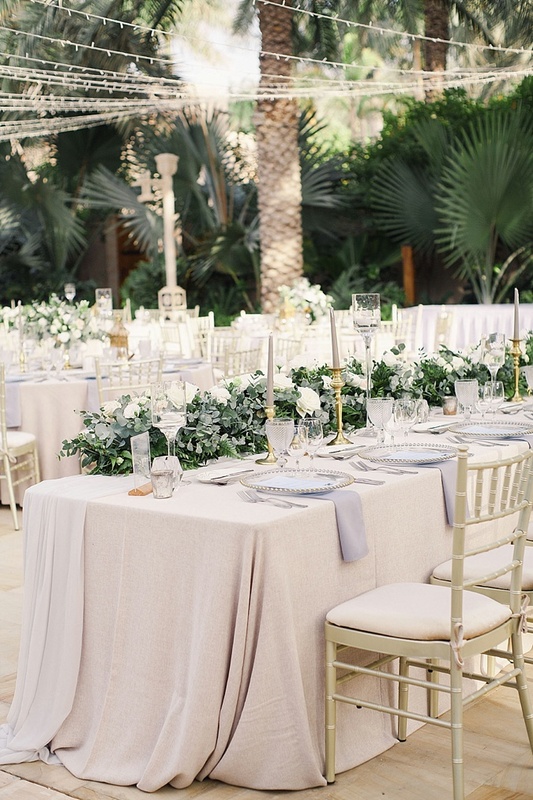 To achieve this, we opted for a simple color palette with lilac, eucalyptus green and gold. 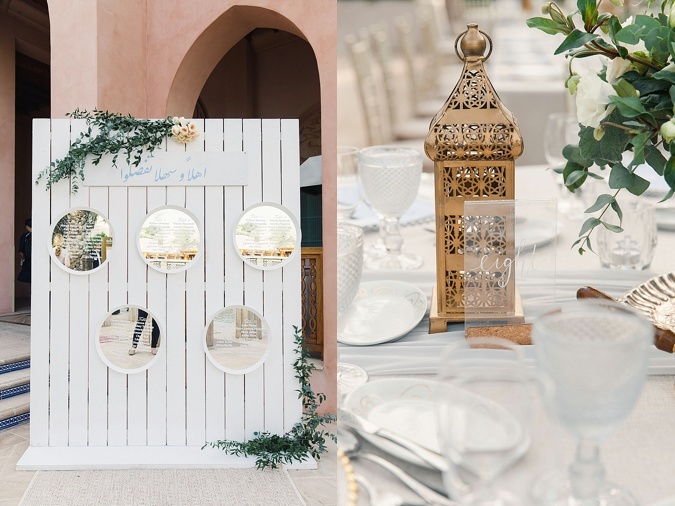 We combined large white and blush flowers with local desert roses and succulents for our floral arrangements and added Arabic touches such as tiny golden camels on the dining tables, large Arabian lanterns hanging from the palms and Arabic writing on the seating chart. We hired The Purple Chair to help with our décor and they did a tremendous job pulling it all together and making our vision become reality. We also wanted a big party vibe, as we are both known in our groups to be the last two to leave the dance floor on a night out. The DJ selection was therefore so important, it was actually one of the hardest things to find. In the end I came across Jono Brandford whilst on a Ladies Night in Lucky Voice. He was DJing and just kept playing banger after banger, and I said to my friend, “He would be perfect for the wedding.”I booked him that same night and had to go back with Chris the following week to let him have a listen (he was slightly concerned that I had made such an important decision on a night out) but after just a few songs he completely agreed. Jono was brilliant and sorted all the light and sound equipment out for us too. The music really helped make our Arabian Gatsby Party vision a reality. Let’s talk dresses! 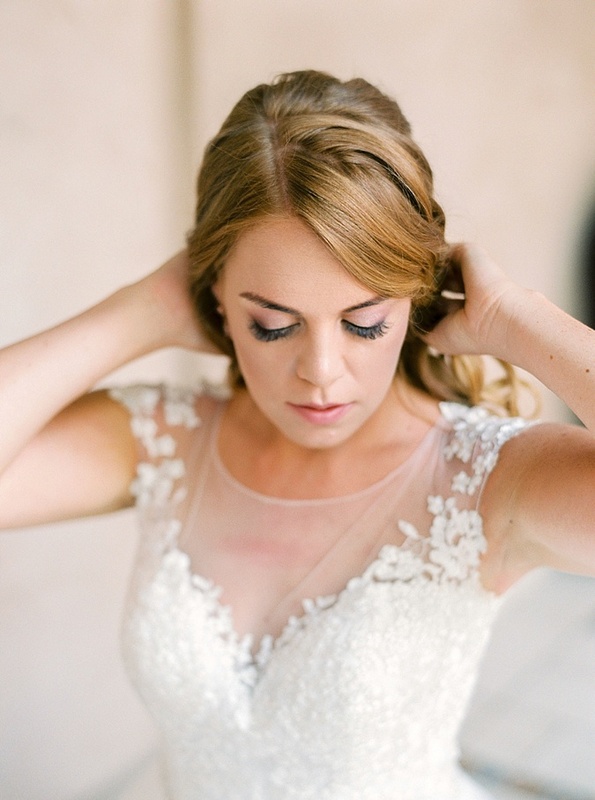 Where did you find your dream dress and how did you find that process? I think all women expect to have that big “this is the one” moment with the tears and applause and you just know that this dress is my dress. Well that didn’t happen for me, and I remember feeling so frustrated and disappointed, wondering if I would ever find a dress. I tried on dresses in Sweden, UK, I even flew to Kleinfelds in New York, but I just remember being so overwhelmed by it all. I was continuously being encouraged to go over my budget by pushy shop owners or put into dresses that were the opposite of the style I had asked for. 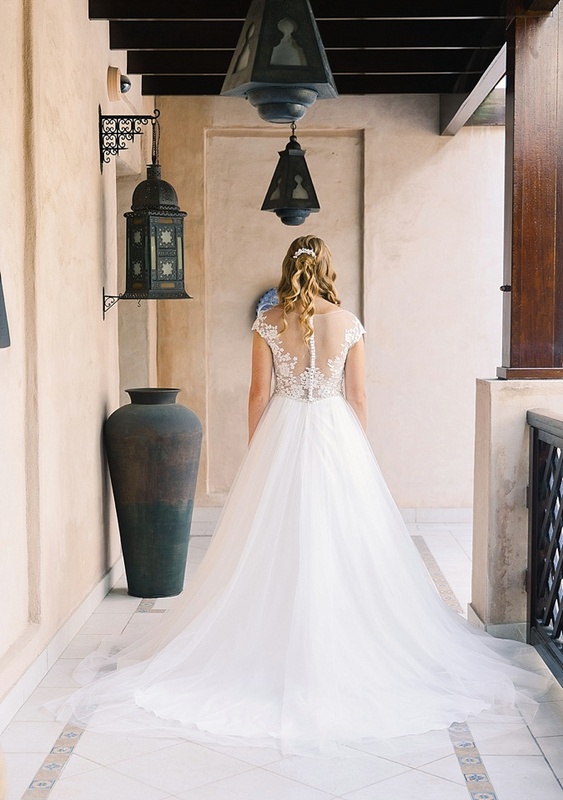 It wasn’t until my friend Petra came to visit and said she wanted to go try some dresses with me “just for fun” that I started looking in Dubai and we made an appointment at Bridees in JLT, which I actually found on the Bride Club ME Vendor Club. When we arrived at Bridees, Natalia the owner, sat us down, offered us a coffee and asked me questions about what kind of dress I was looking for. She really listened and took the time to figure out what I liked as well as what my budget was. She then helped me select a few dresses to try on, all within my budget. I liked every one of them and was starting to feel a lot more optimistic. By the time I got into the fourth dress, I knew I had found the dress I wanted. I wouldn’t say I had that big “this is the one” moment, but standing in that Maggie Soterro gown with the illusion back and gorgeous train I could finally vision myself walking down the aisle. I went back a second time with my Mom and Sister and they both loved it too and we bought it that day. I absolutely love it. The food tasting? Haha, only joking. I honestly loved every single minute of the wedding planning, but if I have to pick a highlight then I think it was making the invitations. Chris and I designed, and hand made all of our invitations which consisted of a passport invitation with a boarding pass RSVP card. We placed both in a custom made “boarding pass pocket”, had a personalized stamp added to them and placed in an Air Mail envelope. It took a lot of late nights to get them all done but we had so much fun doing them and envisioning our guests opening them. Also, the wedding dance practice. We decided to do a medley of our favorite songs, ranging from the traditional Waltz, to ‘Perfect’ by Ed Sheeran, to discoing it out to Whitney’s ‘I wanna dance with somebody’ and even throwing some gagman style in there too! It took weeks of practice and creating the choreography (including a lift) but it was so much fun doing it. Not being able to delegate as much as perhaps we would have liked to, or get second opinions on things. Had we done our wedding in one of our hometowns we would have been able to ask for more support, or bring our parents/friends to see the venue or cakes etc. Every decision had to come down to just the two of us which could be draining because there are so many little details to arrange, but it also meant we both got to be really involved and do it together which meant every little detail of the wedding was a reflection of us both. Also, as amazing as it was having all of our friends and family here at the same time, it also meant having to say goodbye to all of them at the afterwards. I hadn’t prepared for how painful it would be to have been surrounded by them all one moment and the next for them all to leave at once. It was hard but that is the tradeoff of being an expat. I wouldn’t have changed it for the world though. The first look. We did the Swedish “first look” which means that the bride and groom meet privately before the ceremony rather than down the aisle. It is a bit more intimate as you get to take a moment to say, “I love you, let’s do this” rather than having the pressure of everyone looking at you whilst you are trying to focus on each other. Chris was waiting for me by our wedding suite and I walked up behind him and tapped his shoulder, when he turned around, I thought my heart was going to explode. It was such an amazing moment and it just reminded me what the entire wedding was about. It is easy to get caught up in the wedding celebration and fall into the hostess role, but at that moment I just remember thinking that this is what it is all about and no matter what, this was going to be the perfect day. Doing the first look also meant we were able to do all of our couple photographs before the ceremony, so we didn’t have to miss as much of the cocktail reception and could spend more time with guests. ♡ Make a budget and stick to it. 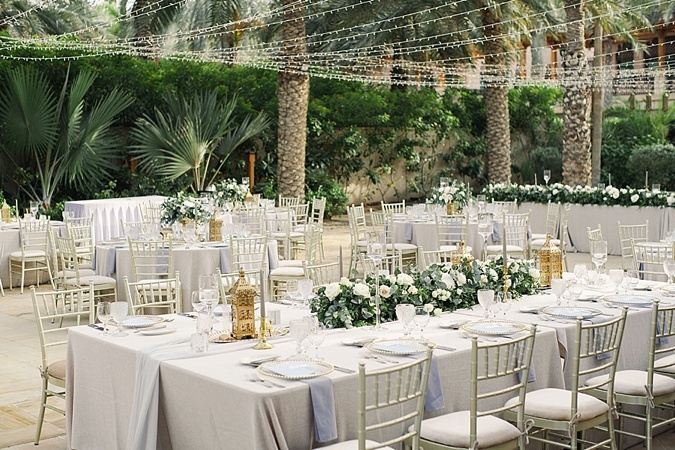 Dubai is expensive, and the wedding industry is no exception. Things often end up costing more than you expected, so make a budget that allows for up to a 20% buffer. Don’t be afraid to shop around and get different quotes. Bride Club ME is a great place to start because they list a wide range of vendors in each category so you can contact a few and do a comparison in price and services offered. 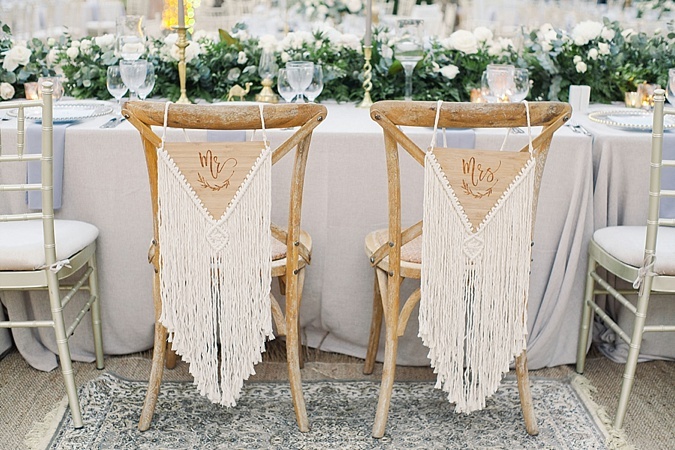 ♡ Don’t be disheartened when guests RSVP no. There will be guests who you expect to be there but who simply can’t attend. Asking people to travel requires financial commitment as well as for them to take annual leave, so it can be a big ask and sometimes it means that even the people you thought were guaranteed to attend can’t make it. You have to be prepared that it may cause some disappointment but don’t let it impact your relationships, they would have been there for you if they could. 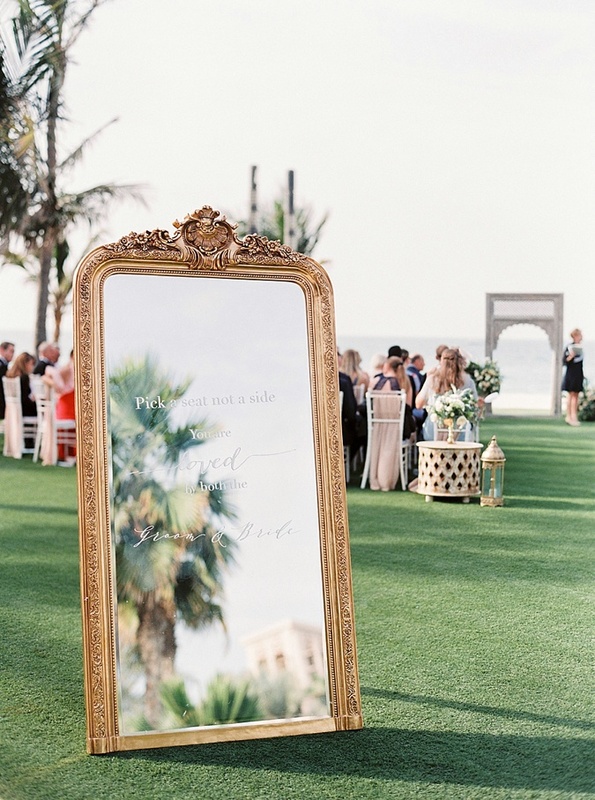 ♡ Make a timeline with every single little task that requires being done at the wedding clearly captured with timings, and then delegate them. You should have a clear idea of what time the balloons need to be inflated, the DJ needs to start setting up, or the makeup artist needs to arrive. But you should not be responsible for project managing this on the day. Hire a wedding planner, or if your budget doesn’t allow then delegate the tasks up amongst organized, trusted friends and family. This will really allow you to relax on the day. ♡ (Because I have to mention this) Just let go and have fun on the day. Things will go wrong, but as long as you focus on your partner and your guests it will be the perfect day. 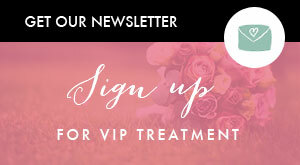 Did you use www.brideclubme.com when planning your wedding and how did the website help you? Yes, a lot. 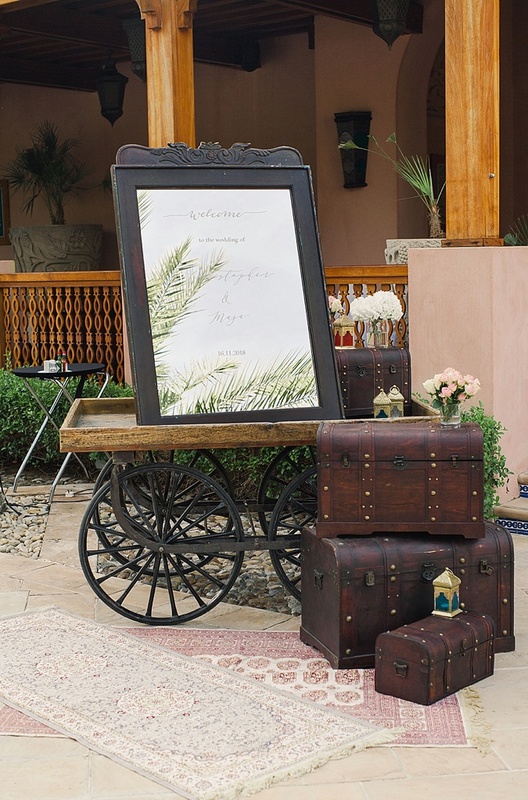 We didn’t know anyone who had got married in Dubai, so we felt a bit lost as to where to start looking for vendors. 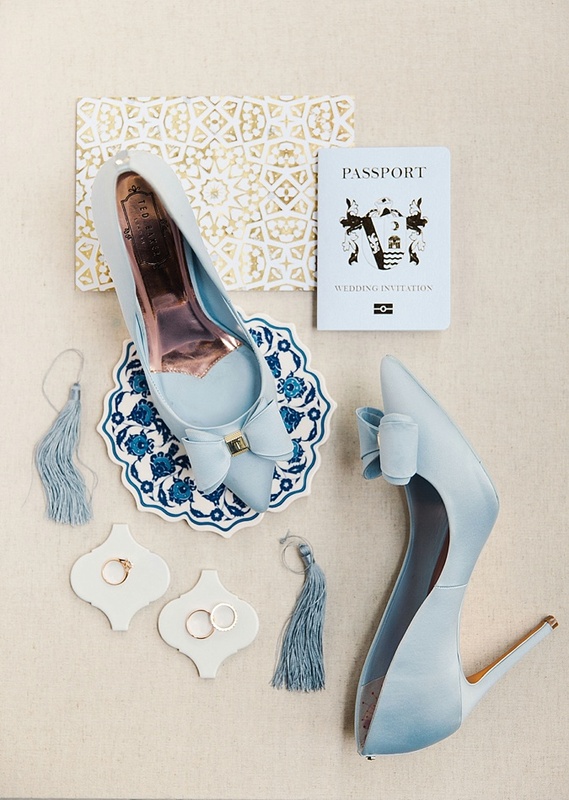 I found Bride Club ME a few weeks into our wedding planning, and from then onwards sourcing vendors became so much easier. Plus, each vendor on the website has a special offer or discount for readers so it definitely helped with the budget side of things. Prepare to be swept away by Maja and Chris’s beautiful wedding video by BCME vendors Denee Motion Boutique Wedding Films & Stills. Those pics are beautiful. Love the details that’s been captured. Oh wow! Those photos are just stunning! Lovely lighting and angles. Thanks so much for sharing our images in this feature. Maja & Chris really had a special vibe at their wedding and I loved capturing their wedding day together with my team! Amazing job, well done guys !! Wow! This wedding looks absolutely amazing.! Getting lots of inspiration for my own wedding. 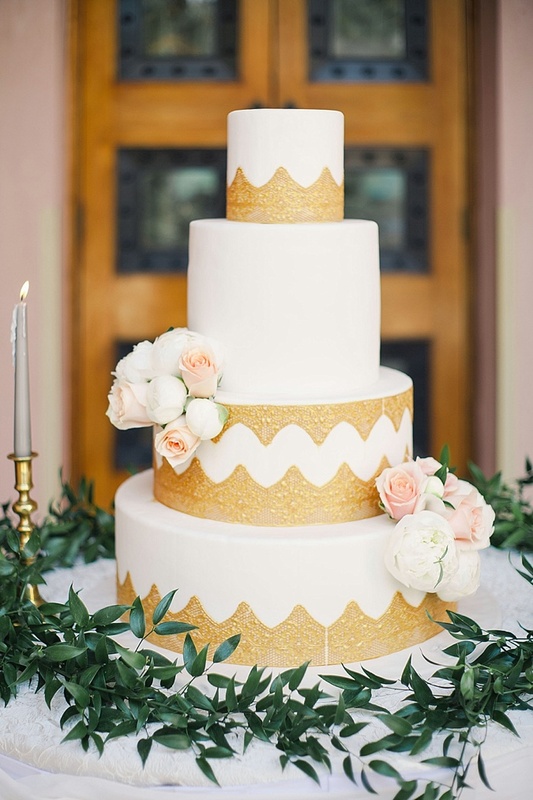 Love the arabesque touches! Beautiful venue and fantastic photos! 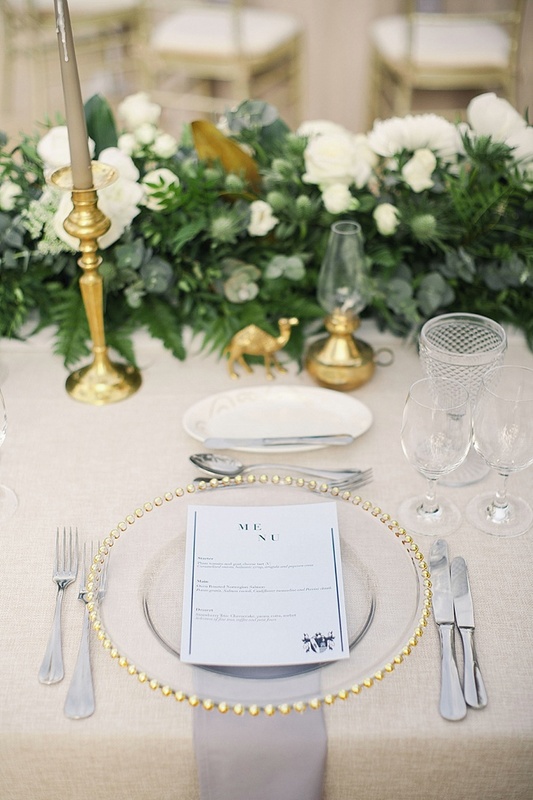 Such a lovely venue and the styling works so well with it! Wonderful feature, thank you to the BCME team! What an absolutely stunning setup!! Love all the details! 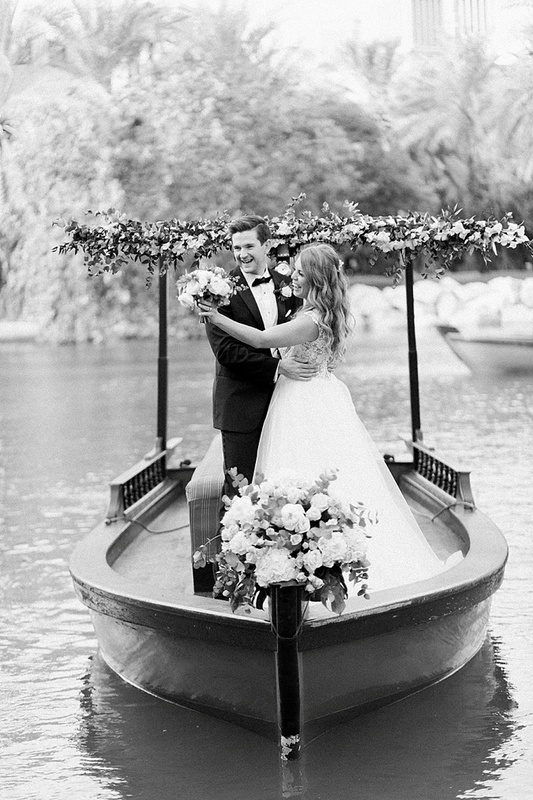 Gorgeous bride & groom! The set up is so beautiful! Beautiful pictures and video. Love it!!! What a beautiful scenery and all details is well captured. The light and angels in all the photos are spot on!